Wrinkles on the chest area can be treated with certain rejuvenating creams. A number of health and beauty products are specifically designed to enhance the look of aging skin in the chest area. The chest is often the victim of too much sun exposure, which can cause wrinkles and sunspots. 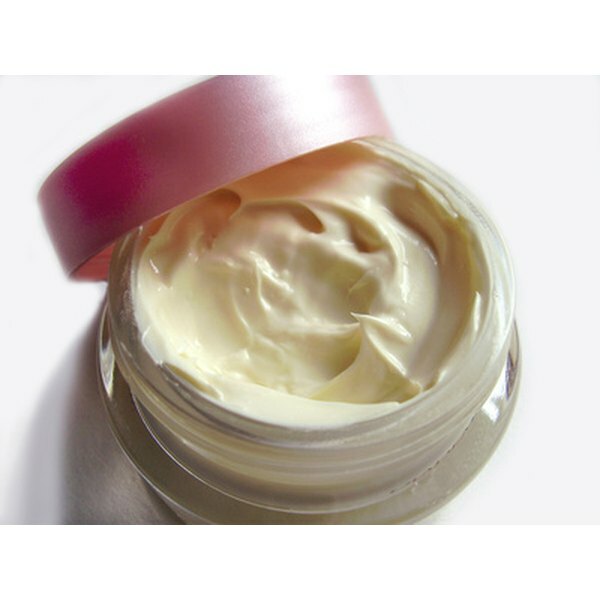 Moisturizing creams with age-defying ingredients may help reduce the appearance of unsightly marks, and can help tighten and firm the skin to remove wrinkles. EliteSkin Neck and Chest V-Covery is designed to reduce the appearance of wrinkles and aging on the neck and upper chest area. The neck and chest cream lifts skin by firming up skin cells and heals sun-damaged skin, common to the chest area. Elite Neck and Chest V-Covery contains Lipocare, Essenskin and Matrixyl 3000, which combine to increase skin density and collagen synthesis, according to EliteSkin.com. Lipocare promotes rapid lipid release, which helps breakdown fat buildup in excess neck skin. Essenskin provides the skin with essential minerals, amino acids and nutrients to reconstruct skin. Matrixyl 3000 is a peptide that targets wrinkles by generating new collagen. Dermajuv Neck and Chest Revival System is comprised of an age-defying serum and a neck restoration cream. The kit is to be used over at least 30 days to produce results like firmer and lifted skin. Sunspots and wrinkles begin to fade as well. The serum and cream contain Sesaflash, which hydrates and tightens skin to provide a nearly instant lift, Renovage, an anti-aging formula that reduces sagging skin, age spots, dry skin and redness, and Matrixyl, which promotes collagen production. The cream also contains Shea butter to firm the skin. Dr. Sebagh Vital Cream moisturizes skin and reduces the signs of ageing with an organic version of a rejuvenating biopeptide called the Epidermal Thymic Factor, or ETF. This natural hormone promotes cell development. ETF has shown to improve the overall health of skin and generate a thicker epidermis, according to DrSebagh.com. The skin is simultaneously moisturized by a long-lasting lipid that revitalizes and softens skin. The cream is designed for use on the neck and chest and should be applied in the evenings after a serum repair treatment.